Oran Limited is a manufacturing company specializing in aluminum products specially windows, doors, ladders, furniture and architectural items. 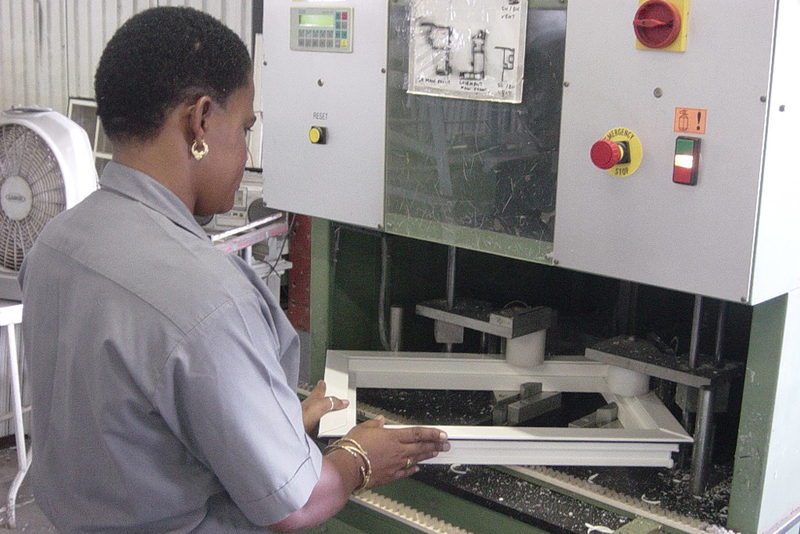 The company commenced operations in Barbados in 1964 as a manufacturer of high quality aluminum products. The company’s’ founders Marshall and Anita Oran first opened the facility at the Grazettes Industrial Park, employing six persons with factory space of 4000 sq. ft. In 1969 Oran Limited relocated to the Harbour Industrial Park in Bridgetown. Today, the company operates from this location on 120,000 sq. ft. of factory space, employing over 250 persons. Oran’s ability to offer customized sizes in countless windows and door options is our vision for modern innovative products which includes storefronts, hurricane protection shutters, gutters, security grills, aluminum furniture, tub and shower enclosures, sunshades and an array of architectural solutions for buildings. Oran Limited is your comprehensive solution for quality aluminum and PVC windows and doors for both residential and commercial use. Our integration of performance, quality, price and selection results in a superior range of products that will stir your imagination. Whether the project is new construction or remodeling, we offer you a seamless combination of beauty and craftsmanship. To provide our customers with a valuable and comprehensive solution for state-of-the-art aluminium products that will exceed their expectations in quality, price and performance through the craftsmanship our highly skilled and devoted employees. Oran Limited values its employees and the technical skills involved in manufacturing aluminum and UPVC products. The training and development of employees is fundamental to meeting both the manpower needs of the company’s objectives and the individual goals of each employee. Oran Limited encourages highly motivated, ambitious individuals to take outside classes to further their knowledge and experience in the field. 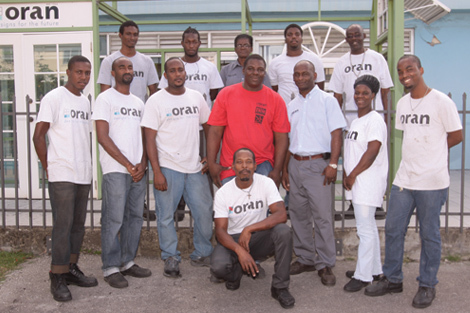 Oran Limited currently employs over 250 persons. 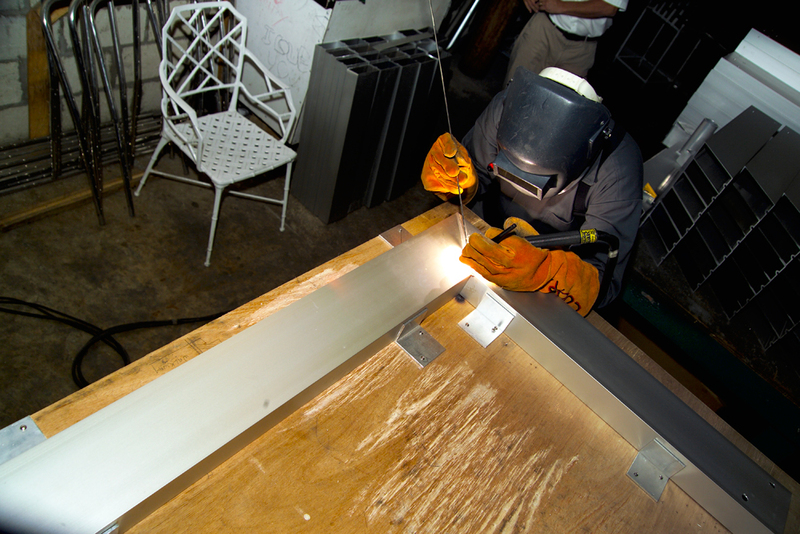 Our employees work in teams directly in Manufacturing, Operations, and Sales. Our Sales staff assists the everyday consumer in finding the right solution to their specific needs. 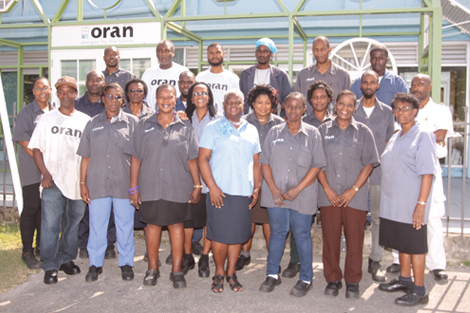 Working directly from our offices and manufacturing plant at Harbour Industrial Park, the Oran Limited team consists of experienced and knowledgeable people ready to serve you today. Oran Limited offers career opportunities in a supportive, team-oriented work environment. With in-house production, marketing, administrative, and management departments, there’s sure to be a position to match your interests and experience. At Oran Limited, we strive to uphold the standard: “To Produce Quality Products And Achieve Customer Satisfaction Through A Continuos Improvement Process”. 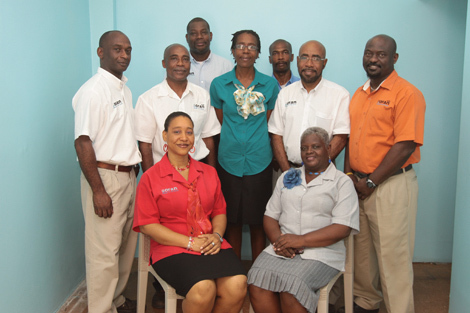 Oran Limited is proud to serve the people of Barbados, the Caribbean, Central and South America. Oran Limited places a heavy emphasis on supporting the Barbados community. It understands the critical role that corporate social responsibility has and is proud to support numerous charities, schools, and non-profit organizations throughout the island.